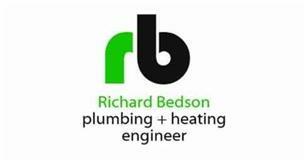 Richard Bedson Plumbing and Heating Ltd - Central Heating Engineer, Plumber based in Goring-by-Sea, West Sussex. We are a family ran business with over 15 years experience in the domestic and commercial sectors, offering first class service for all your plumbing and central heating needs. Whether its just a simple tap washer to full central heating installation, we take great pride in offering a top quality service and we always aim for 100% customer satisfaction. Call us for a free estimate or any advice.